This installment in the 50 States of Talent comes to us from The Empire State. Though originally from Staffordshire, UK long distance love brought Chris to the US. Love is what is bound to happen when you give this guy a thorough listen. In the UK, Chris got his start as a teen playing drums in a harder Joy Division- esqe alternative band that is still around. However, Chris has a softer side and began writing songs while still in his teens. This softer side is evident in his music. The songs and vocals are artistically intricate and simple at the same time. I get a Thom Yorke and Vance Joy feel vocally. Most of Chris’ music is strictly acoustic but is easily transferable to a full band. Don’t let the term acoustic fool you. There is an edge and a crisp rawness in his guitar playing when he needs it to accent his lyrics, so perhaps unplugged may be a better description. 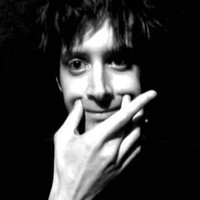 Chris has a lovely website (https://chrisjconnolly.bandpage.com/ ) with links to Facebook and SoundCloud pages Included on the website are lots of fun doodles and thought-provoking photos and his songs , which I encourage you to share with your friends. He has made sharing easy thru Facebook, Twitter and Tumblr. Chris also has a few videos if you would like to watch him though they are relatively generic. He also has some performance videos on YouTube. Give this guy a listen. If you are in Long Island and see him playing at a local coffee shop stop in, say “hi” grab a cup and enjoy the music. Tony Tedesco & Full Fathom 5 waste no time getting to the point of things musically. 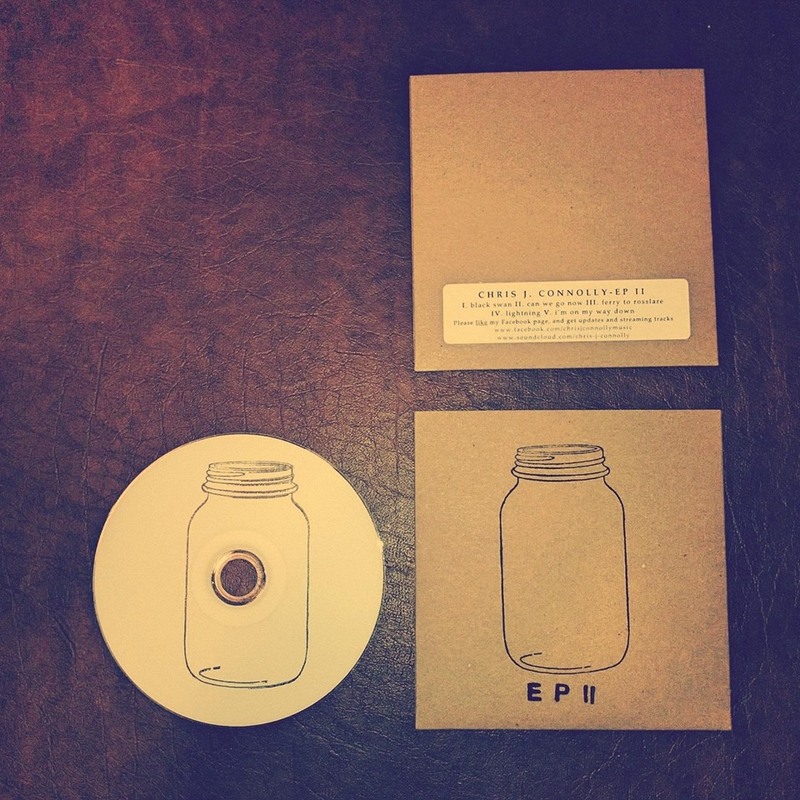 They mix acoustic folk and bluegrass along with lyrics best suited to country music storytelling. The music is generally soft and gentle compared to Tony’s gruff vocals. His voice is well-travelled like many good story tellers. His ability to deliver his lyrics in a delicate manner is a pleasure to listen to. The music makes a great backdrop for sailors of old or a dusty saloon in Deadwood. It works on many different levels for the blue-collar guy. This is working mans music. In today’s world of digital beats and fresh faced singer songwriters it is refreshing to see and hear someone who actually has been around the block once or twice. Tony (guitar and vocals) backs himself with a motley bunch called Full Fathom 5 (Gorgo Beach- mandolin, Sean David Cunningham- violin, Audrey Kate Geiger- vocals, Matthew Lott- accordion, tenor sax, toy piano, Mike Noordzy- upright, contra alto clarinet, Michael Scotto – drums). A talented group of musicians who provide the backdrop for Tony’s lyrics. Audrey’s vocal add an old fashioned charm to the whole sound. Just listening to music I am reminded of Dan Zanes and the music that he puts out and the “off the beaten path” vibe that he conveys. It is all here on the debut album by Tony Tedesco & Full Fathom 5 available for download here: http://tonytedesco.bandcamp.com/ Download the whole album or just your favorite song or two. Lyrics are provided so you can easily read along and perhaps find your own meaning to the song. After listening to the debut album a few times through I find it hard to believe that this is unsigned talent. The music is enjoyable and earthy. It is sure to leave you with a full belly feeling. Give him a listen, give your ears something refreshing to relax to. As I promised, a follow up is in order. What better way to get through the summer than with some new music? Especially some music from an artist that provides some nice mellow rock perfect for sitting around the campfire or hanging on the porch with friends enjoying some summer cocktails. Stuart provides just such a back drop with his new single “The Whiskey”. Reminiscent of some XTC and Love and Rockets this single just starts, wham- vocals. I actually thought I may have missed something the way vocals are looped on the intro. Those first few seconds threw me but once I got into the song and the lyrics all was good. There is a lot going on in the lyrics and that is what I like about Stuart and his style. The song contains some memorable lyrics, and is catchy enough to find yourself humming along to or in my case singing along to. “Every man’s castle needs a moat” is one such phrase that sticks with you. Overall, this song is built with a solid foundation and is lyrically smart. If you are one who likes to delve into a song and the lyrics than this song will satisfy your cranial needs. 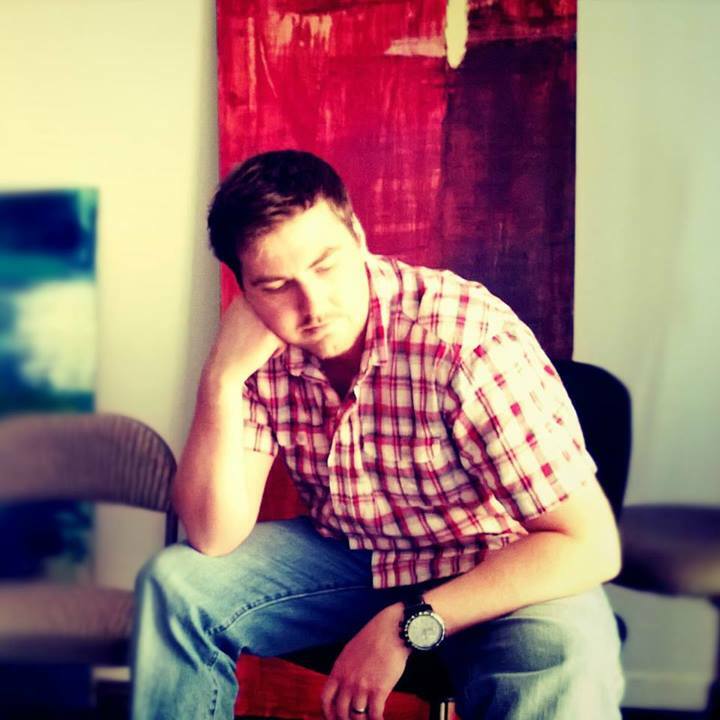 Stuart is definitely an artist to keep your eyes and ears on if mellower rock is your thing. I look forward to more from Stuart in the coming months and will keep you updated on his progress. In the meantime, enjoy your summer and why not add some Stuart Newman to your summer music rotation? And if you haven’t already done so check out some of his other tracks, you will find some Radiohead influence, intelligent songwriting and pleasantly mellow guitars. There are also some videos and such out there if you want to see Stuart in action. I believe I found a few previously with a quick google search. 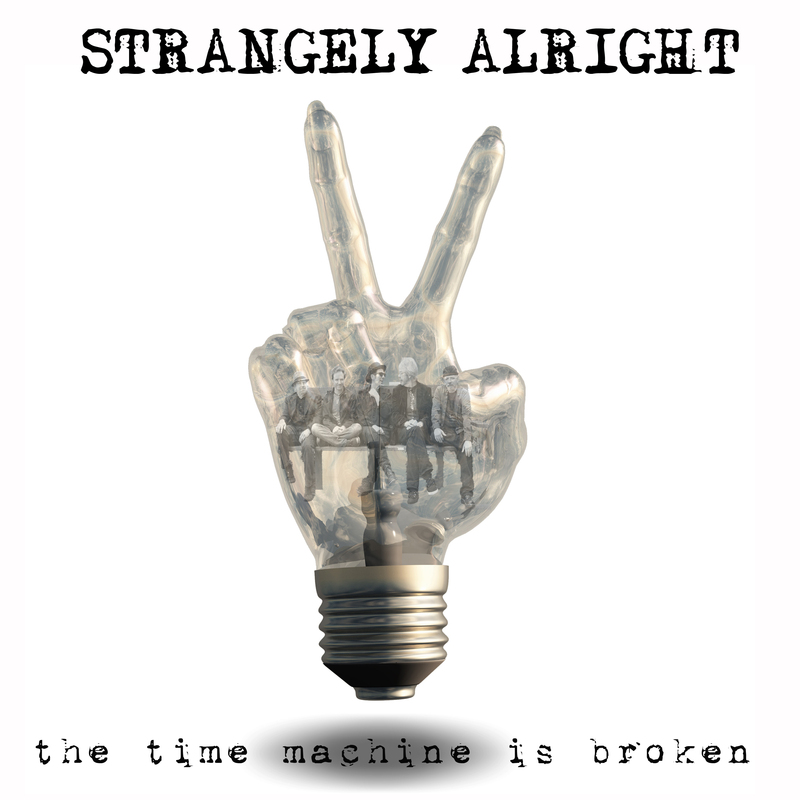 Strangely Alright’s new release is here: The Time Machine is Broken – or is it? A few weeks ago I let you in on one of Washington States many musical secrets, Strangely Alright. Well, they have just released their effort “The Time Machine is Broken” It delivers as I suspected it would. I was safely transported to and from my destination. So, I guess in my case the time machine isn’t broken, and well, if it ain’t broke don’t fix it. The songs are all well written though sometimes I really didn’t feel the song kick into a natural groove until the first chorus. Once the chorus hit the songs soared and the groove of the album was found and provided a quite enjoyable listening experience. There are many catchy phrases in the songs where you say to yourself “Damn how come I didn’t write that? !” Whether Regan is writing about his experiences or drawing from others close to him it is clear that this is a very personal album. The songs revolve around lives lived, mistakes made and turning points that have changed their lives and made them realize the world is a two way street. You get only what you give and at the end of the day giving is better then receiving. Love and forgiveness. Reflective of that thought process is one of the slower songs on the album “If I don’t laugh I’m only going to cry”. The song reflects the distance they have travelled and how time has matured them. It is in this song that we find the albums title. There is a lyric questioning the possibility that they have become their parents and really is that such a bad thing? “Before the Fall” is another slower song that dives into one’s self and sees how others have given so selflessly and the only way to repay that is to give themselves completely to the other and in that realization there is a clarity and warmth even as the summer sun settles. So while the lyrical content of the album is complex and not just a bunch of pop songs so common in today’s world, it is still an easy listening experience. I don’t mean Barry Manilow easy listening. I mean that the songs lyrics are combined with structurally sound adult alternative pop and catchy choruses that welcome you to sing along. Towards the end of the albums closing we find that Regan and the rest of Strangely Alright (Ken Schaff:Bass, Jeff Reiner:Lead Guitar, Lee Gregory:Keys and Preston Darvill:Drums) have all found the “Direction Home” and end the album on a very upbeat summery tops down in the convertible kind of song aptly titled ‘You and Me” and when we get to our destination “let’s share a bowl of Capt’n Crunch”. Ok, I know he resembles Eddie and he sounds like Eddie but I assure you he ISN’T Eddie. I cannot be accused of finding unreleased Eddie Vedder tracks and somehow getting someone to lip sync the stuff. I will leave the lip syncing to the pros like Ms. B. This local gem is none other than Jim Millheiser or Jim Mill as he has shortened his name a bit for recording purposes. I saw Jim a few months back and felt the need to give this kid the exposure he deserves. He truly is an artist with special qualities. Jim can mostly be found playing the local coffee houses where an intimate setting suits his acoustic style but it’s not all about the acoustics. 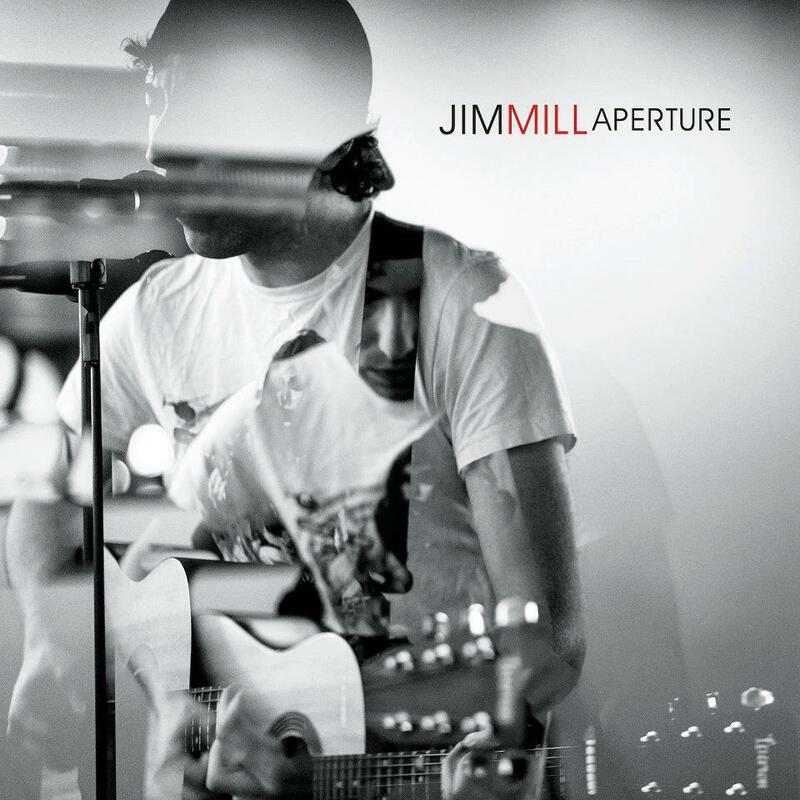 Jim has recently released his first solo effort called “Aperture”. It contains 7 originals. The release is not acoustic with the exception of one song, “See You Again” It is edgy alt-rock. It doesn’t disappoint from start to finish it is a substantial release with lyrics that you find yourself singing or tapping your foot to. As I mentioned “See You Again” is the only truly acoustic song on this release. Listen to this one with your eyes closed and you would think that you are listening to Eddie Vedder from “Into the Wild” soundtrack. It is a well written song with beautiful lyrics. The song really lets you hear Jim’s voice and the tenderness in his baritone. His Facebook page contains a lot of links to various sites that he has stuff posted to such as Soundcloud. Click on any of the links below to get a sampling of his talents. I’ve made it easy for you. Definitely check him out, he is well worth a listen. It will be time well spent. So you liked what Daniel Hales and the Frost Heaves had to offer? A Travelling Wilbury’s motley sort of bunch that wants nothing more to deliver a good time to all even those of you who feel rhythmically challenged. 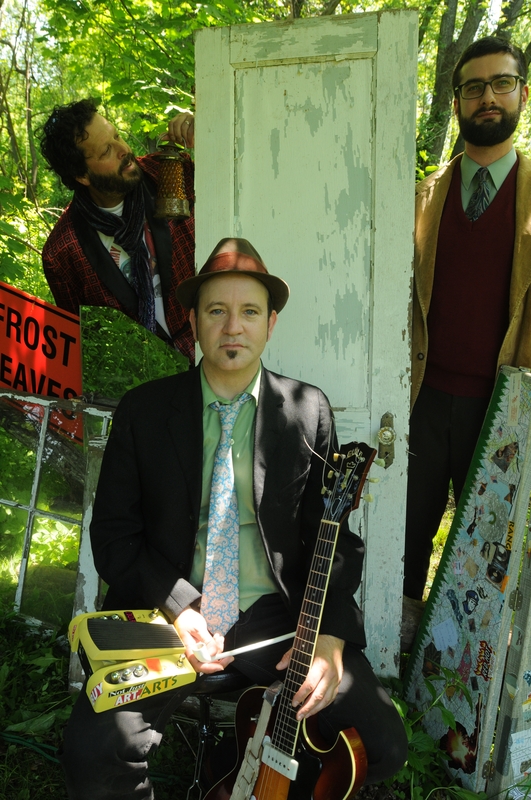 Their folksy alternative sound, their artistically smart lyrics, Daniel’s soul patch? If you liked all of that or are just into supporting local acts then let’s give them a hand. They are currently working on a third release. And if you are like me, can’t wait to see just exactly what they are up to. Then let’s help them reach their goal. Throw them a few bucks if ya can. If you would like to help them on their latest recording endeavor follow this link. They will be grateful for your support as all the local guys I feature are. Did you catch that? If not then you weren’t paying attention. Strangely Alright is just that only there isn’t anything strange about it. Quite frankly they are better than alright too. Hailing from Tacoma, Washington Strangely Alright delivers catchy and infectious shall we say…..adult alternative. Lyrically, they give you beautifully written pop songs with all the perfectly planted hooks that leave a song stuck in your head : “I was Jesus, the Beatle, John, lost myself, I lost it all…..” The songs reflect where they are in life and what they have observed. Their songwriting and deliverance reminds me of plenty of well known acts from the heyday of alternative music. I can easily pinpoint School of Fish and Josh Clayton-Felt’s “Inarticulate Nature Boy”. There is also a Beatle Influence that can be picked up on easily. Really, many bands and artists have been influenced by the Fab Four that it comes as no surprise. Strangely Alright is a group of guys who have tightly woven themselves into one entity. Fronted by Regan Lane, a gifted songwriter who has a few awards under his belt, some have battled demons and realized what is most important in life, not just their life but life in general. Fortunately for us they are able to share this with us through their music. The band is made up of Regan Lane ,(vocals / guitar) , Ken Schaff (bass), Jeff Reiner (guitar), Lee Gregory (keyboards) and Preston Darvill (drums). They officially formed in late summer 2012 when Regan formed a friendship with Ken, a fellow musician and now friend. They got to talking as most musicians do and decided to put the songs Regan had written out there and make it happen as a full fledged band. Shortly thereafter, the other pieces of the quintet fell into place and they started making magic. Their latest album, “The Time Machine is Broken” is slated for release in June 2013. I will keep you posted on its progress and release. They have a website http://www.strangelyalright.com complete with a widget tab!! There you can read up on them, join a mailing list and look at some pictures and sample their songs. Their home page has all the links to them in the wide world of the internet, Facebook, twitter, myspace, etc. Definitely check them out, if you like introspectively written pop songs, that are upbeat no matter how dark the lyrics may be. If you like Michael Penn and School of Fish or other similar bands. This is a band that should not go unnoticed.